Redhot & Blue has won national recognition for its innovative arrangements of jazz standards that blend American songbook classics with the fresh, upbeat flair of the collegiate a cappella tradition. 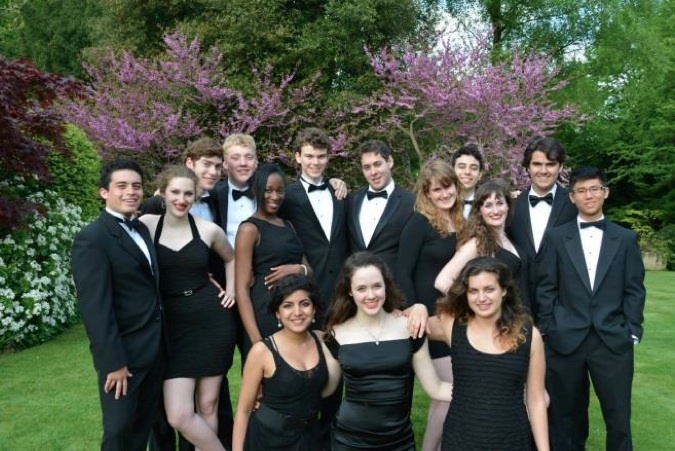 The group’s sixteen members have brought their classic, award-winning sound to venues all over the world: from snowy Montreal to the Golden Gate Bridge; from the sunny plazas of Madrid to the bustling streets of Tokyo; and from the White House to the halls of our own, beloved, Yale University. This concert is free to attend, but donations to support Yale's Redhot & Blue are welcome.